When someone takes control of your social media account such as Facebook or Twitter. This could mean there are posts on your social media page that you did not make. Facebook enables you to set up login notifications. Go to settings, select security, then Login Notifications and set up email or text send you an alert when your account is accessed by a computer or mobile that you have not used before. You can also set up two factor authentication by selecting settings and then Login Approvals and follow the links. 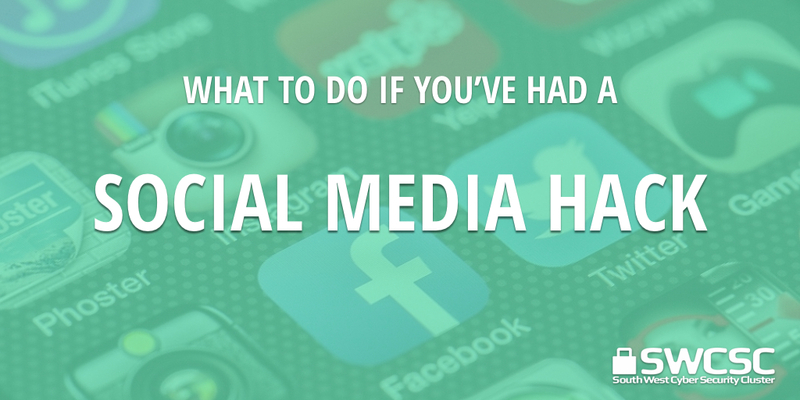 Set up two factor authentication on your other social media accounts in a similar way.